Once upon a time in Guatemala Lauren and I took a little adventure. 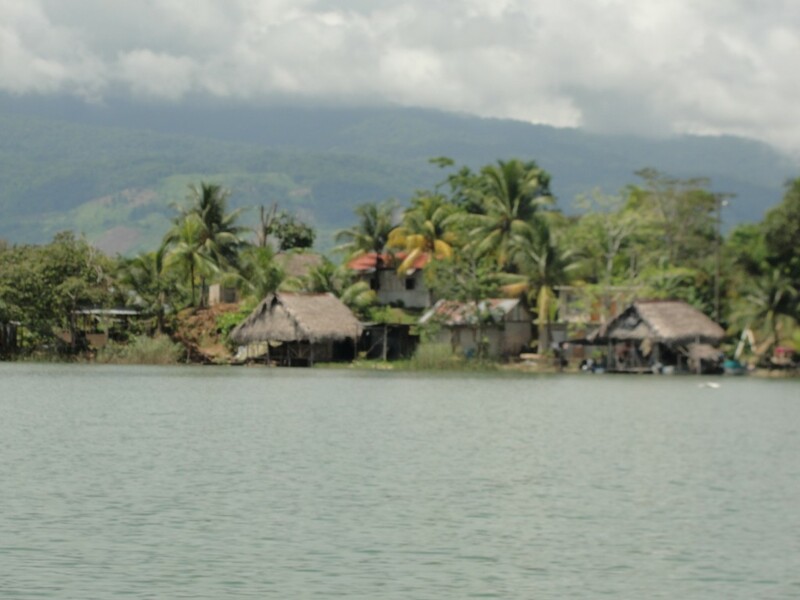 We travelled to Livingston, which is a little town that is only accessible by boat. We stayed the night in a bungalow and waited on the end of this dock on Saturday morning. 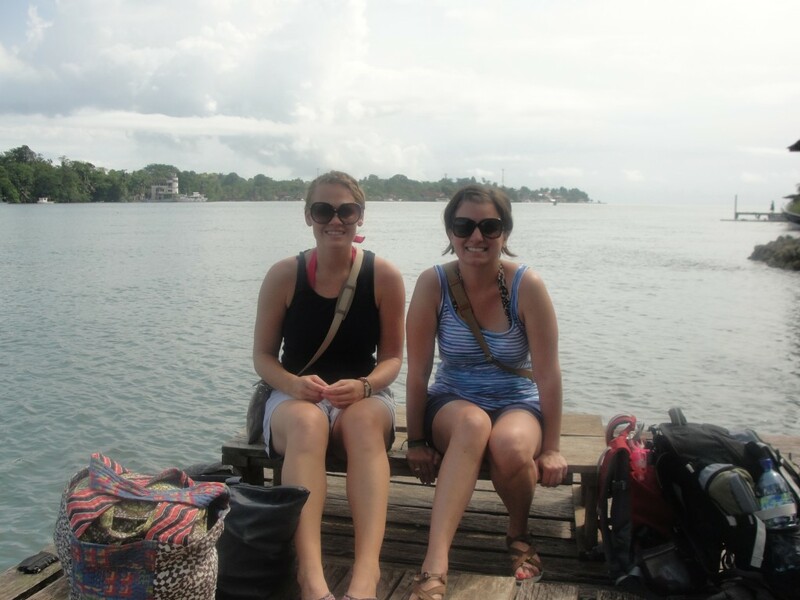 With our overnight bags we sat and watched boats go by. 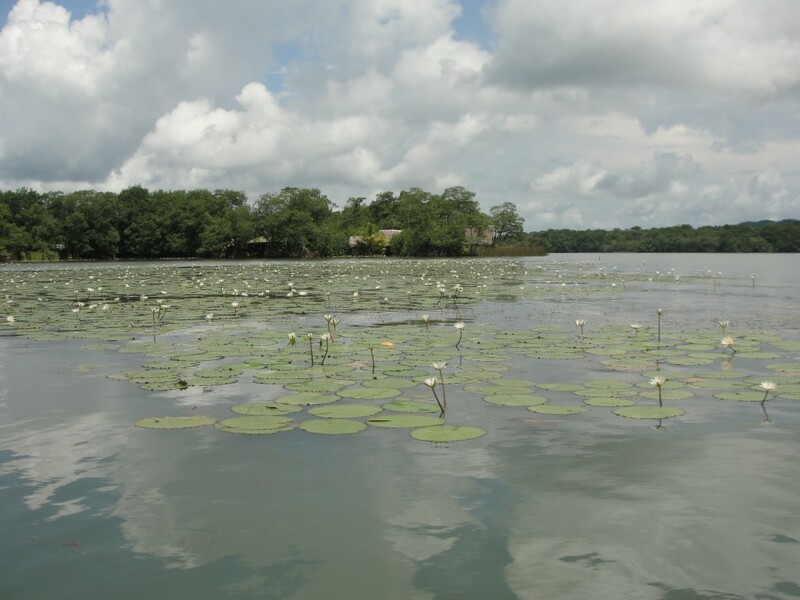 Eventually our boat arrived and we began our journey up the Rio Dulce. 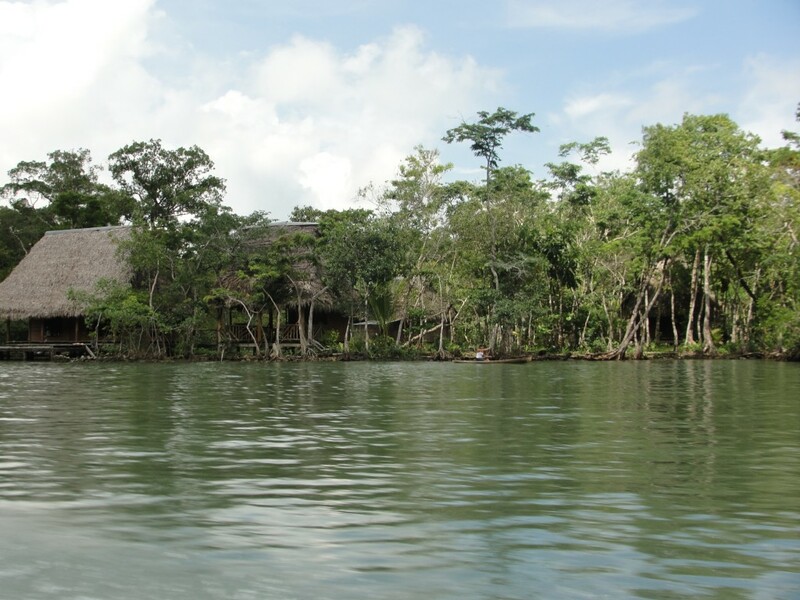 Riding up the Rio Dulce was part of a bigger journey to the rainforest. Along the river it looked like scenes from LOST, and it was hard to believe that we hadn’t already arrived in the rainforest. 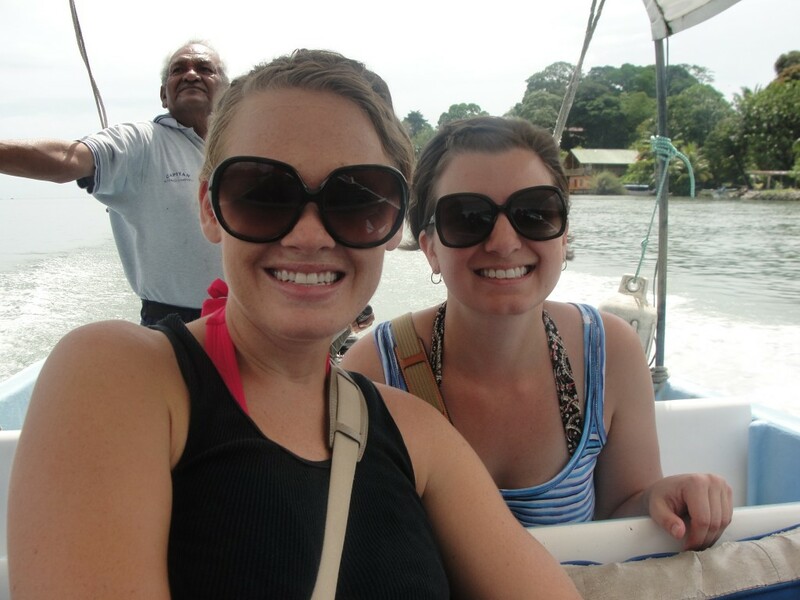 The three hour boat ride was one of my favorite things we did in Guatemala. The scenery was spectacular and we only had four people on our lancha. 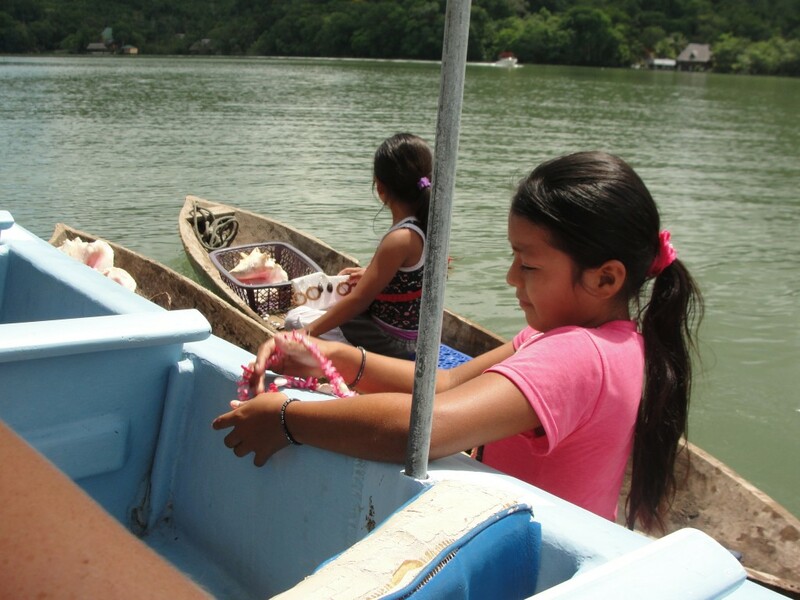 These little girls came up in their canoes to sell seashells, turtle shells, and jewelry. I loved these lily pads. The water is my favorite. I was reading my cousin’s blog the other day and came across a month old post. I would definitely recommend reading what Brad has to say and watching the TED talk by Brene Brown at the bottom of the post. The talk did happen to be in Houston. I’ve thought about what Brene Brown has to say about vulnerability for the past few days. American adults are the most in debt, the most overweight, and the most unhappy that we have been in history. We live our lives in fear of what others might think of us and we rarely feel like we are enough. Brown explains that we must be vulnerable and gracious. We have to be grateful for what we can be and ready to accept life. When we do this we are authentic. When we are authentic we can truly love and live. Personally, I wasted time in my life worrying about unimportant decisions and what people thought of me. That was a colossal waste of time. I loved Brad’s post and the talk, because it made me think. Thinking is good. Because it is summer and there is lots of time for internetting, I found Brene Brown’s website. The post from July 5 where the crowd sings “Ode to Joy” is magnificent. She actually works at the University of Houston and her blog is pretty great. I added her to my Google reader… Summer is good. Twenty-nine years ago my parents got married (July 9 was the actual anniversary). 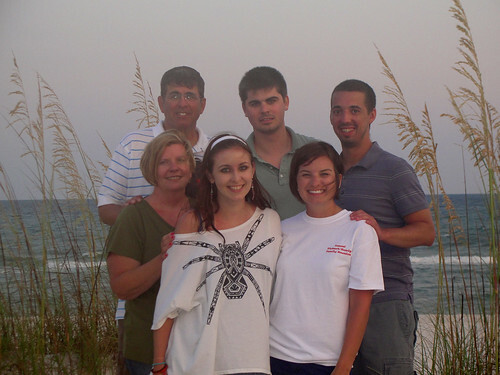 They went straight from their honeymoon to the first ever Pickert family reunion. My grandparents rented a house at the beach and everyone piled in. A few years along the way have been skipped due to a wedding, a trip to Disney, and my grandparent’s milestone celebrations. There have been a few houses in the winter, but for twenty-nine years the Pickert’s have all piled in condos or a house in Florida. My experiences and memories with my cousins all tie into the beach. There was always some mischief and the younger kids were always bugging the older kids. We played hours of games, did crafts, and were the labor for my uncle’s sandcastles. Over the years all fifteen of us have grown up. Now we line up our chairs near the ocean, grab a beer, and bust out our Kindles. We discuss our grown up lives and funny things that happened or how we felt left out as middle schoolers. I love these Pickerts. I think this is the first year EVER we didn’t take a shot of the entire group. 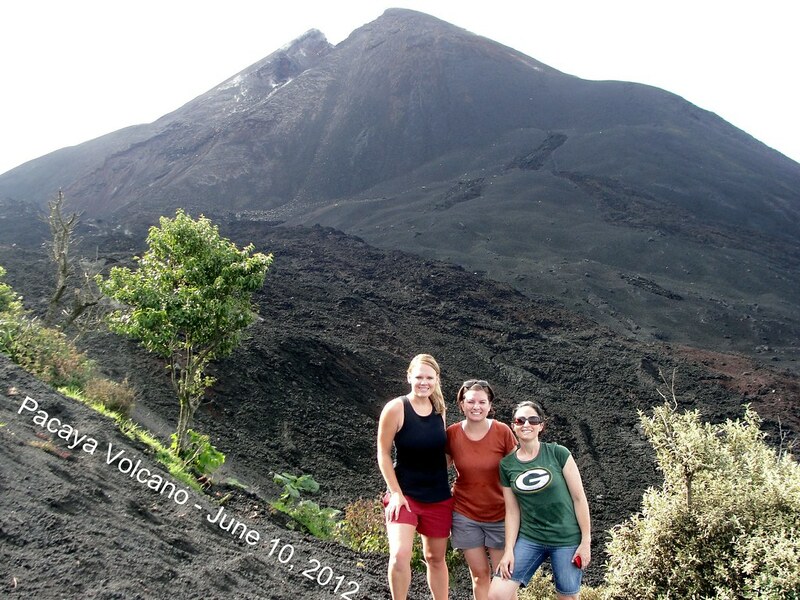 Last month, after being in Guatemala for two days, we hiked a volcano! A real live volcano. Julie, Lauren, and I woke up early and got picked up by a van. We rode for about 2 hours to the base. There are 30 volcanos in Guatemala, and there are currently only 3 that are active. Agua, Fuego, and Pacaya are active. 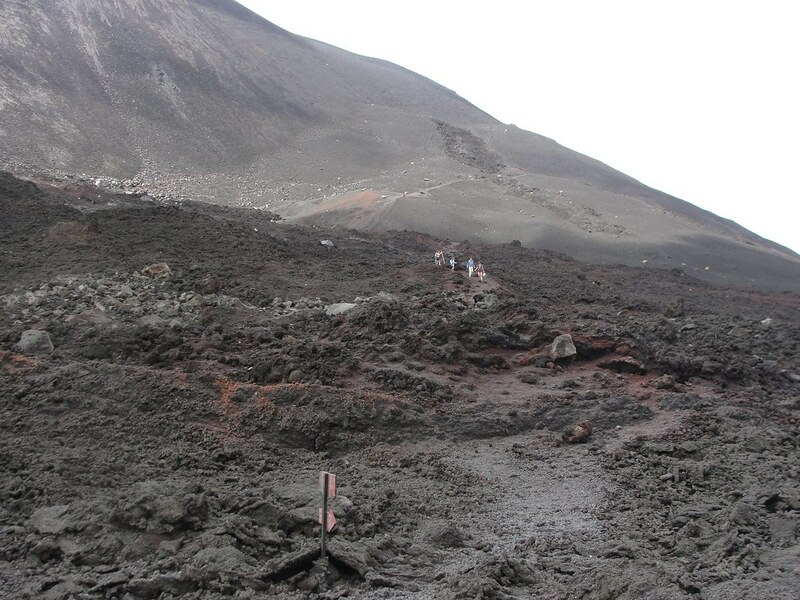 Pacaya’s elevation is 8,373 feet. Seriously, it is very large. The hike was incredibly difficult for me. It was similar to climbing that horrible stair machine where the stairs continually rotate and never stop. If perhaps, I had been to a volcano before, or I did not care about seeing the volcano, I would have quit. Julie and Lauren were ahead of me and a little boy with a horse was hanging out beside me. This little boy wants someone to pay to ride his horse, and on June 10th, he wanted me to be that someone. I thought this was funny for a time, and then I felt thoroughly annoyed that he had picked me out to be the weak link. “The horse would like to work today,” the young boy told me. Which made me feel like I would like to work that day. Drenched in sweat and breathing hard, I pushed on. As we rounded a corner the scenery changed. We went from lush green to ashen rock. I could not believe how amazing it looked. I wanted to reach down and scoop up all of the rocks beneath my feet. The trail leveled out and we camped out for lunch. Our guide threw some sticks in a hole and a fire immediately ignited. He got a stick and roasted marshmallows. I did bring back a couple lava rocks and I am very excited to put them on a shelf in my classroom. Pacaya was one of the most visually unique things I’ve ever laid my eyes on. It felt as though we were stalking through middle earth looking for the ring. I’m very pleased to cross off seeing a volcano from my list!